Dealing With Fractured or Broken Bones From Your Car Accident? 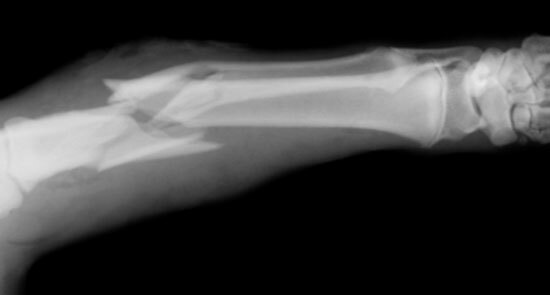 Broken bones come with many complications in addition to the obvious pain. They increase your risk for conditions such as arthritis, and surgery may be required for them to heal properly. Long after the bone heals, painful side effects can remind you of the suffering you've gone through. What's worse is that most people who have been in an accident don't know how to protect their rights. Insurers may try to offer you a cheap settlement without considering all the possible medical issues you may face now and in the future. Unless you know the law, you won't know what money you're entitled to receive. That's why you need Edgar Snyder & Associates on your side. You may have a case, and we can help. Since 1982, our highly rated law firm has helped thousands of people get the mooney they need to cover hospital bills and lost wages after suffering broken bones. Over the years, we've recovered over $1 billion dollars for our clients. Don't let a broken bone—whether it's your arm, leg, hip, or any other body part—keep you down. We're ready to help you get the money you need to move on from your accident..
We gather evidence to build your case. We stand up to the insurance companies that don't have your best interest in mind. We deal with the medical bills and paperwork hassles so you can focus on recovering. We keep track of deadlines and answer all of your questions. We work with the experts to prove your case. And remember, there's never a fee unless we get money for you. Call us toll-free at 1-866-943-3427, or submit your information online with the form at the top right corner of this page for a free legal consultation. Don't wait – evidence disappears quickly, and there are time limits to file a claim. Let us help you get what you deserve.